School Direct is a school-led route offering you a way to qualify as a teacher (QTS) while based mainly in a school. Why study School Direct at Middlesex University? The School Direct Training programme is available to high-quality graduates and our partnership schools offer places on both the tuition fee route and the salaried route. The salaried route means you will be able to earn a salary while you train, and aims to attract career changers and high quality candidates in hard to fill subjects. 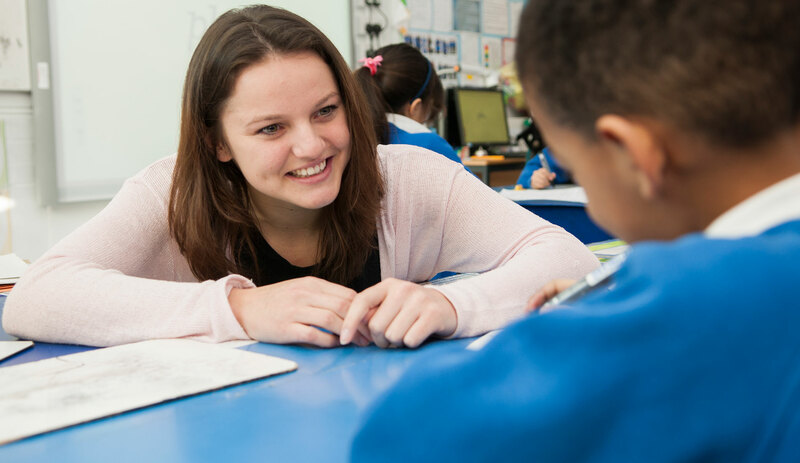 At Middlesex, the School Direct programmes are closely aligned to the PGCE routes, meaning you will benefit from the provision of a range of high-quality central training, delivered by research-leaders and academics, who are widely published across disciplines such as multilingualism, diversity and childhood development. All of our School Direct programmes provide the opportunity to gain a postgraduate qualification, which can be used towards a Masters award in the future. This will enable you to develop your skills for teaching and for understanding the interrelationship between learning and teaching, as you develop into a critically reflective practitioner. The majority of our School Direct programmes (all primary routes, secondary salaried routes and some secondary subject areas on the Tuition Fee route) are aligned with the PGCert Teaching qualification. School Direct Tuition Fee programmes in Biology, Chemistry, Physics, Computer Science, English, Geography, History, Maths, and Music are aligned with the respective PGCE Secondary programmes. Our extensive history of delivering leading education courses ensures that you will benefit from the guidance of expert tutors who bring a wealth of professional experience to their teaching. What will you study on the School Direct (QTS)? As a school-led route the great majority of your time will be spent in your training school, and the content and focus of many aspects of the training programme will be targeted to meet your individual needs, by utilising the resources of the school and their alliance partners. In addition, at Middlesex you will also benefit from access to the University's extensive resources, including those provided by the library and student support services. Allow you to visit a variety of partnership schools and non-formal educational sites to enhance learning in specialist areas. Provide you with opportunities to enhance your knowledge and pedagogy of your subject, or specialist areas of the curriculum. Develop your understanding of key contemporary issues within education, such as those around inclusion or EAL and SEND provision in schools. You can find more information about the PGCE and PGCert Teaching programmes in the programme specification. Module and programme information is indicative and may be subject to change. As a student on these programmes you'll receive a free electronic textbook for each of the modules you study. GCSE grade C / grade 4, or equivalent, in mathematics and English. All primary applicants must also hold grade C, or equivalent in a science subject. We also accept equivalency tests by Equivalency Testing, A Star Teachers or other appropriately accredited providers if the testing arrangements have been approved by the ITT team at Middlesex. We cannot accept functional skills or key skills. UK/EU students are eligible to apply for this course. Due to restrictions placed on students with a Tier 4 visa undertaking part-time study by the UKVI, courses requiring a placement cannot be studied by International students. For both routes you will need to attend an interview, which should take place within the school you will be training to teach, and you will also need to pass Professional Skills Tests prior to commencing the courses. To apply for either salaried or tuition fees School Direct training places you will need to apply via UCAS Initial Teacher Training. This will provide you with specific entry requirements for each available position. For both School Direct routes, prior to commencing the course, you must pass Department for Education professional skills tests in numeracy and literacy. You are advised to pass them wherever possible before your interview in order to give yourself the best possible chance of success. However if you haven't passed at the time of the interview and you receive an offer it will be conditional on passing the tests by a nominated date. Please visit our dedicated webpage for further information about how to prepare and book for the professional skills tests. Salaried School Direct trainees are paid on at least point one of the unqualified teachers' scale. How can the School Direct QTS support your career? We are proud to have strong and committed partnerships with hundreds of schools located in London and the surrounding area. After graduation, School Direct students are expected to be employed within the School where they are pursuing their School Direct programme, although this cannot be guaranteed. Recent research into teachers' daily experiences by the Department for Education has found that teaching is better at giving you a 'natural high' than many other professions. The starting salary of a newly qualified teacher is at least £23,720 a year (£29,664 if working in inner London) and, on average, teachers' salaries increase by 30% after the first four years of their career. Teachers can find career progression in both the classroom and the school's management structure. You might aspire to become the head of a department, age group or curriculum. And through developing your leadership skills and experience, you could progress to a senior management position, such as deputy head or head teacher (earning a salary of between £52,771 and £118,490 as a head teacher in inner London). For more information on salary and career progression, visit the Department for Education's website.